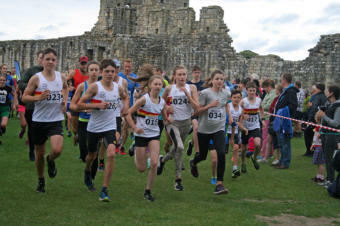 Eighty runners, aged 4 to over 70, took part in the 2.5km Fun Run which started in the castle grounds and finished in the mote. Athletics legend Brendan Foster CBE was in attendance with his family and kindly started the race. 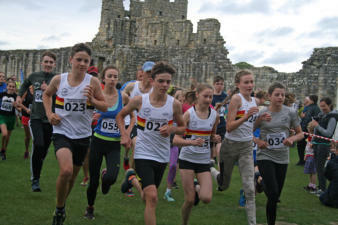 Alnwick Harrier, Ollie Telfer was first over the line in 8 min 41 sec, closely followed by Ben Murray John. Lauren Brown was the first female to cross the line in a brilliant 9 min 10 seconds, a remarkable feat at only 13 years of age. Special mention should go to the youngest competitors, Louie Pauw and Nell Foster for completing the run with smiles on their faces. Results summary: 1st Adult Male: Mike Telfer. 9:16 2nd Adult Male: Kenton Duffield 9:45 3rd Adult Male: Ed Price 9:47 1st Adult Female: Ella Duffield 9:31 2nd Adult Female: Lauren Robson 13:00 3rd Adult Female: Stevie Marshal 13:09 1st Youth Male: Ollie Telfer 8:41 2nd Youth Male: Ben Murray John 8:56 3rd Youth Male: James Carragher 9:43 1st Youth Female: Hannah Taylor 11:12 2nd Youth Female: Emily Gray 17:01 1st Junior Male: Max Murray John 9:21 2nd Junior Male: Gregor Batley 9:46 3rd Junior Male: Jack Price 10:22 1st Junior Female: Lauren Brown 9:10 2nd Junior Female: Hannah Johnson 9:48 3rd Junior Female: Sam Potts 10:44 More photos to come….